The Associated Press claimed in a report on Saturday that "Iran has never threatened to attack Israel." The AP later clarified that Iran has frequently predicted Israel's demise, saying Israeli officials "view" those comments as existential threats, but the news agency did not revoke the statement. Nasser Karimi, a 14-year veteran of the AP, wrote the story, titled "Iran's Rouhani calls Israel a ‘cancerous tumor,'" from Tehran. It was shared by multiple media outlets, including the New York Times, Daily Mail, and U.S. New & World Report. 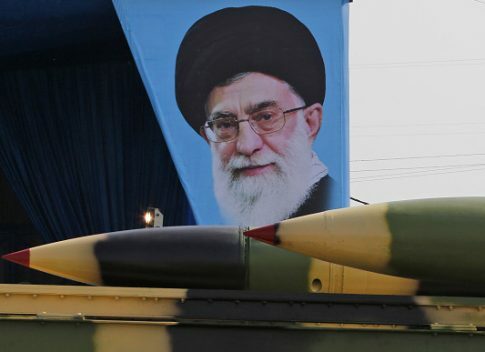 The Committee for Accuracy in Middle East Reporting in America (CAMERA) pointed out the inaccurate statement about Iranian threats and contacted the AP about the error, according to a story published on its website Sunday. The AP subsequently clarified the story, casting Iranian threats as Israeli perception. Iran's threats and desire to destroy the state of Israel are well-documented. In 2011, Mohammad Reza Naqdi, a commander in Iran's IRGC, said: "We recommend them [the Zionists] to pack their furniture and return to their countries. And if they insist on staying, they should know that a time while arrive when they will not even have time to pack their suitcases." In 2018, Guardian Council secretary Ayatollah Ahmad Jannati said "[s]oon we will celebrate the destruction of this [Israeli] regime in Palestine." Writing for the Atlantic in 2015, Jeffrey Goldberg documented the many times Iran has threatened Israel's existence, including since Karimi joined the AP in 2004. Earlier this year, the Middle East Media Research Institute (MEMRI) released a report on "Israel's Eradication – An Ideological And Practical Goal Of Iran's Islamic Revolution Regime." The AP had long recognized that Iran seeks Israel's destruction, at least before Saturday. In 2016, the AP reported that "Iran has threatened to destroy Israel in the past." Also in 2016, the AP reported Iranians, including "the deputy commander of Iran's powerful Revolutionary Guard," marched in parades chanting "death to Israel." In 1994, the news agency reported Iran had sponsored a day of solidarity "with pledges to destroy Israel." Iran has threatened to destroy Israel in the past. Iran has never threatened to attack Israel. As of Monday morning, the story with the claim remained on the AP website. The Daily Mail still had the story on its website without any editor's note. The Times posted the update, which was classified as a "clarification." U.S. New & World Report ran the updated headline "Clarification: Iran-Israel Story" but did not actually include any clarification. This entry was posted in Issues, National Security and tagged Associated Press, Iran, Israel. Bookmark the permalink.